You don't have to queue. We email the passes to you instantly! The 1st Cardless Program in Singapore that allows you to visit the attractions at your preferred time. Singapore City Pass® includes FREE one-time admission to top famous attractions. Skip most ticket lines with Singapore City Pass® in hand. Enjoy popular sightseeing - Captain Explorer DUKW® Tour & FunVee Night Adventure (Open Top Bus Touring) Pre-reservation is required. 1 Day Hopper® Pass includes of FunVee City Hop on Hop off, Marina Sightseeing & Sentosa Shuttle (unlimited 1 Day use) PLUS Enjoy 2nd Day for FREE! Plus choose 2 of your preferred attraction admission tickets from the PREMIUM EXPERIENCE. 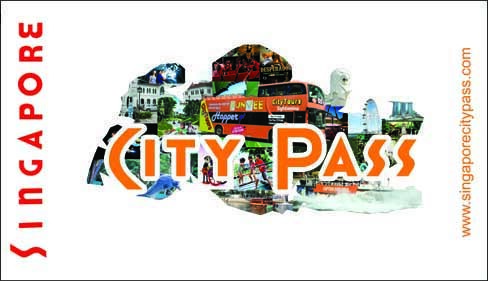 1 Day Hopper® Pass includes City Hop on Hop off, Marina Sightseeing & Sentosa Shuttle Enjoy 2nd Day for FREE! Captain Explorer DUKW® Tour FunVee Night Adventure: Prior reservation is required. Please call +65 6738 3338 / 6738 9897. All seats are subject to availability.